Using the MBTI instrument as a foundation, the Optimizing Team Performance (OTP) program offers an innovative, mix-and-match modular format that allows you to deliver engaging MBTI workshops on the six most commonly requested MBTI team-building application topics: Team Building, Communication, Conflict, Stress, Change, and Individual Development. The OTP Leader’s Guide binder and flash drive include everything you need including sample administration emails, module scripts, facilitation suggestions, timelines, activities with sample outcomes, and PowerPoint slides. 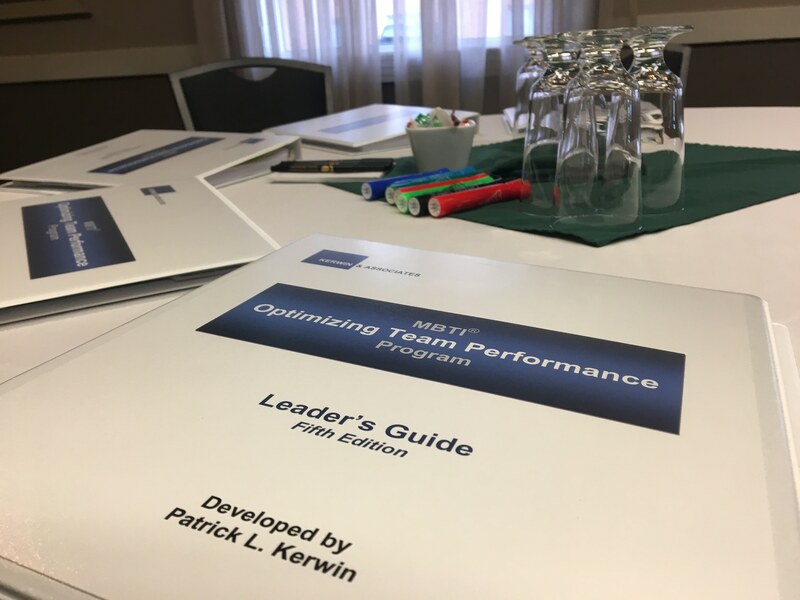 Whether you’re newly MBTI Certified or an experienced MBTI practitioner, the OTP train-the-trainer program will take your MBTI team-building workshops to the next level! How can i Start Using the OTP Program in My Organization? Type Introduction #1: This module is designed for participants who will complete the MBTI® instrument online prior to the OTP program, and includes an introduction to the concept of personality preferences, a description of the right preferences, a review of the participants MBTI Reports, and a review of the full-page personality type descriptions. Type Introduction Review: This module is designed for participants who have recently completed the MBTI instrument, and includes a review of the preference descriptions and a review of the full-page personality type descriptions. When conducting your own OTP program, you select one of the three Type Introduction modules to open the workshop, and then add any of the above Application Modules, or any combination of them, to form a complete OTP program. Alternatively, you can pick and choose activities from the various modules and assemble a workshop that you think best suits your team’s needs. Price includes required material. Available at workshop. What are people saying about the OTP program? For more information contact training@psychometrics.com, or 1.800.661.5158 x 227.